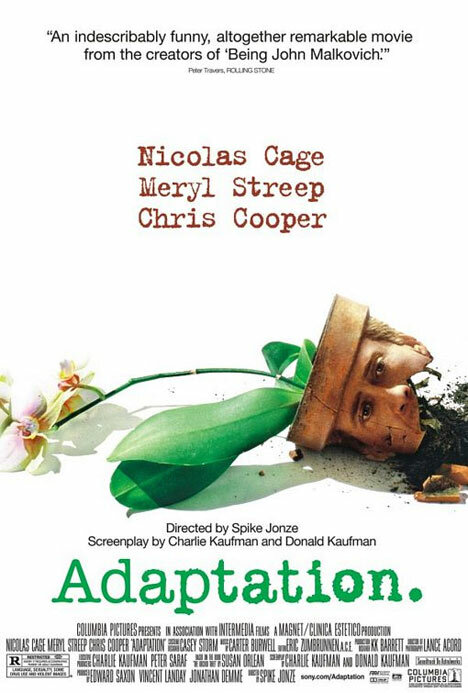 Synopsis: A lovelorn screenwriter becomes desperate as he tries and fails to adapt The Orchid Thief by Susan Orlean for the screen. Did You Know? Nicolas Cage plays twins, Charlie and Donald Kaufman. Charlie Kaufman is a real person, but Donald Kaufman is not. So Donald Kaufman is the only fictitious person to ever receive an Oscar nomination. Quotables: SUSAN ORLEAN: It’s over. Everything’s over. I did everything wrong. I want my life back. I want it back before everything got fucked up. I want to be a baby again. I want to be new. I WANT TO BE NEW. This is probably one of the only Nicolas Cage performances that I’ve ever actually liked. He’s still delivers his lines in his trademark monotone, but it works for the characters. This is definitely one of my favourite Meryl Streep performances, which is saying a lot as she is my all-time favourite actress.